The New Patriotic Party (NPP) on Friday called on compatriots to join hands in building a more prosperous and peaceful Ghana as the nation celebrated its 50th anniversary. A statement issued signed by the General Secretary of the party also congratulated President John Agyekum Kufuor for “keeping the torch of freedom and justice burning higher and higher”. The statement paid an extraordinary tribute to Ghana’s first president, Dr. kwame Nkrumah, who with the help of other patriots fought for the country’s independence. 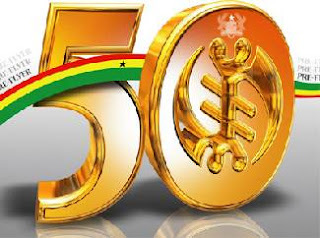 The statement, while saluting the people of Ghana on the 50 years of the nation’s sovereignty, congratulated both the previous and present government for steering Ghana to the present moment. “We also salute the countless others who worked as farmers, soldiers, teachers, traders, politicians, journalists, clergymen, and trades unionist whose toil and sacrifice paid the high price for nationhood”, it said.